All the flavors of fall in one delicious scone! 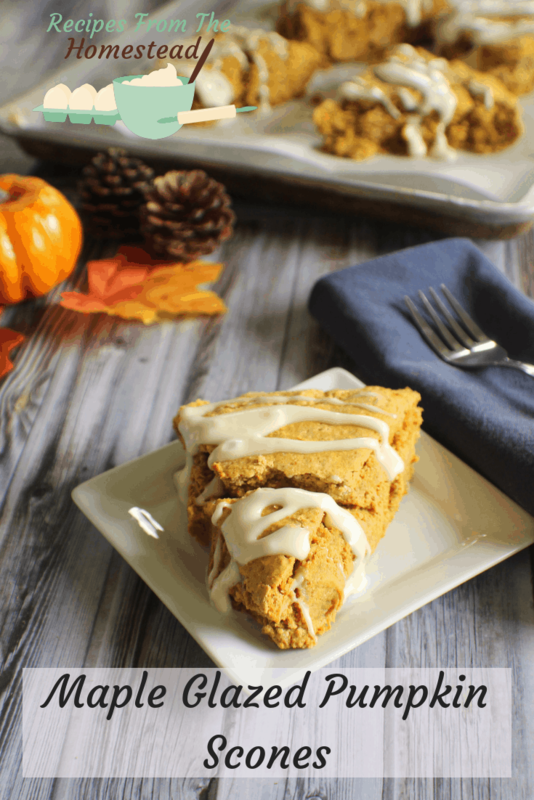 These maple glazed pumpkin scones are perfect for afternoon tea, or a weekend brunch! Weekends, especially Sundays, are lazy days around this house. We like to sleep in, and then spend the later part of the morning sipping steaming cups of coffee, while still dressed in jammies. It’s a great way to start the week for us, as we spend that time planning our budget, grocery list, projects and meals. While sipping on coffee, noshing on some scones is a MUST. There’s something about a scone that makes life seem much more fancy than it is, really. Maybe it’s the word “scone”. Maybe it’s the British Royal posture we seem to take when sliding a fork into one. Or maybe we are just crazy about food around here. That’s probably more like it. The hubby, Frenchman and the boy enjoy all things pumpkin, too. Pumpkin spice coffee, pumpkin cookies, pumpkin pie, you name it. As long as it has some pumpkin in there somewhere, it’s a hit. That’s why these pumpkin scones are a hit in my home. 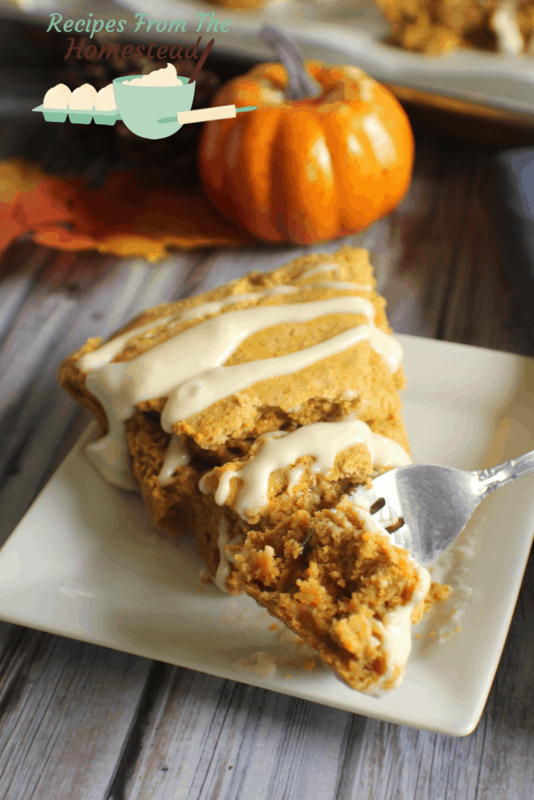 They are light, tender, flaky and full of pumpkin goodness. Of course, they also have that “flair” of fancy type food that we appreciate. It’s just how we roll around here. As for different choices in the ingredients, you can use white, wheat, or any combination of the flours you prefer. Both will give the same flaky results. If you are wanting to watch how much sugar you are using, or want a lower glycemic sugar, substitute the brown sugar for coconut sugar. For a dairy free option, sub out palm shortening for the butter, coconut milk for the milk, and coconut butter for the cream cheese. Your results will still be absolutely delicious! Turn out onto a lightly floured surface, and gently knead 10 times. Place in a greased pie pan. Bake in a preheated 400° oven for 22 minutes. Remove from oven. Blend softened cream cheese with maple syrup until well mixed, then drizzle over pumpkin scones. What is your favorite brunch meal? 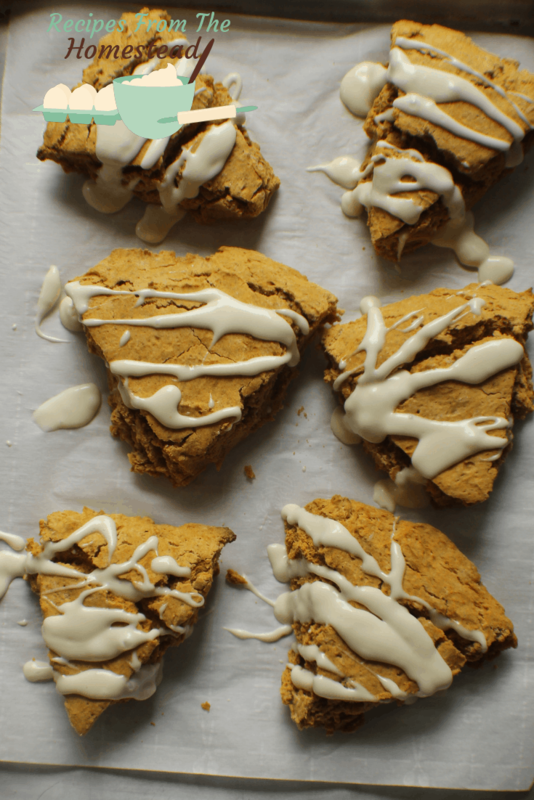 Will you try these pumpkin scones?